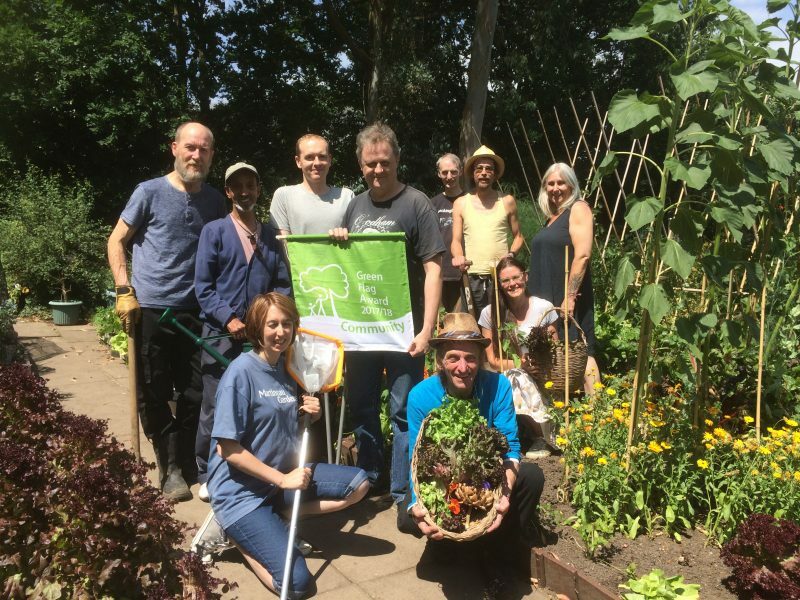 Volunteering is at the Heart of Martineau Gardens – the Green Flag award celebrates the efforts of volunteers and staff in keeping Martineau Gardens open six days a week, throughout the year. The Green Flag is out again – eighth year running! Congratulations to all our volunteers, supporters and staff who help to keep Martineau Gardens, open for free, six days a week throughout the year. The Green Flag Community Award celebrates their hard work and dedication. Green Flags are awarded by the Keep Britain Tidy environmental charity in recognition of lots of important things that go on within parks and green spaces. Many of these tasks are going on behind the scenes: from managing our biodiversity, keeping wildlife records and welcoming visitors to washing up the cups and keeping our paths accessible. As always, this award is actually a tribute to all the volunteers to give up their spare time to help Martineau Gardens thrive. We couldn’t do it with out you! Pictured above, staff and volunteers celebrating the good news, by the vegetable beds, on one of the hottest days of the year. The beds which are organically maintained are well stocked with runner beans, summer salads and calendula flowers.